Mr. Puglisi graduated from Temple University Law School in 1980. Thereafter, he clerked for the Court of Appeals, State of Arizona at the State Capitol in Phoenix. He then returned to New Jersey, where he was born and raised. He was admitted to the Arizona State Bar in 1981, the New Jersey State Bar in 1982 and the New York State Bar in 1984. Mr. Puglisi has handled hundreds of family law cases to conclusion, both in and out of court, from the simple to the complex, including issues involving <strong>alimony, adoption, domestic violence, child support, custody, equitable distribution of assets, division of business interests, pre and post nuptial agreements and post divorce matters</strong>. When the need arises, the firm works with dedicated, and extremely qualified professionals, such as accountants, real estate brokers, financial advisors, and employment experts to assist as their respective fields require. 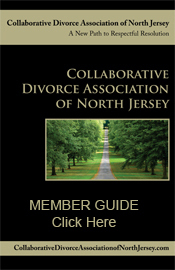 He is qualified by The Institute for Dispute Resolution of New Jersey as a Divorce Mediator, having obtained a Certificate of Divorce Mediation from the State of New Jersey Administrative Office of the Courts following extensive training in the field. He has the knowledge and skill to properly mediate all family law matters, and has served on the Family Court Roster of Family Law Mediators for over a decade.